After a life of travel and discovery on three continents, Grammy nominated saxophonist Tim Armacost has established himself as one of the most important improvisers on the New York scene today. Armacost was born in Los Angeles, but came of age as a musician in Tokyo, New Delhi and Amsterdam, where he burnished his reputation as an upcoming talent, with a big tenor sound and an impeccable rhythmic sense. He tours regularly around the world both as a sideman and a leader. Armacost has worked with a phenomenal number of jazz greats, including Al Foster, Jimmy Cobb, Kenny Barron, Tom Harrell, Billy Hart, Victor Lewis, Jeff “Tain” Watts, Peter Erskine, Ray Drummond, Roy Hargrove, Don Friedman and Randy Brecker. He has recorded 14 critically acclaimed records as a leader, performed on more than 50 as a sideman, and has composed for Wynton Marsalis and the Jazz at Lincoln Center Orchestra. 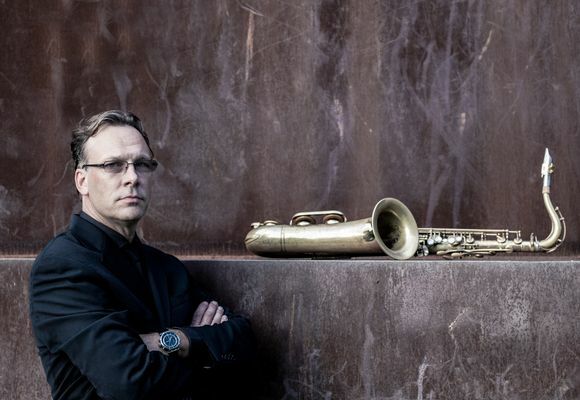 He is a widely respected educator, teaching at the Jamey Aebersold and Stanford Summer Jazz Workshops, at Queens College in New York City and as a clinician at Universities throughout the U.S., Japan and Europe. In addition to his own groups, Armacost co-leads the New York Standards Quartet, and the Brooklyn Big Band, for which he composes and arranges. His most recent recording, Time Being, featuring Jeff ‘Tain’ Watts and Bob Hurst has met with critical acclaim around the world.